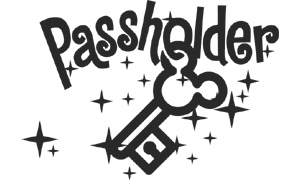 Mailed four times per year (Feb., May, Aug., Nov.), the Disney Annual Passholder Newsletter highlights the latest information on new attractions, upcoming events, Passholder special offers and discounts. Annual Passholders receive free parking at the Magic Kingdom, Epcot, Disney Studios and Animal Kingdom parking lots. Free parking is not valid for special events requiring a separate admission charge or special events that are not open to the general public. Periodically, a limited number of rooms may be made available at select Walt Disney World Resort hotels and select Disney Vacation Club Resorts at discounted rates for Passholders. Visit https://disneyworld.disney.go.com/special-offers/ or see your newsletter for special offers. Discounts change frequently and are subject to availability, and may be canceled at any time. Please consult the latest Annual Passholder Benefit Booklet for a list of current discounts and offers. To access your guide, tap on the PDF file link on your mobile device and wait for it to download. It will open in your default PDF application like Adobe PDF Viewer on Android devices or the iBooks app on iOS devices.